The Fibonacci Retracement was marked from the low 4/22/09 at 1.2885 to the high at 1.5143 on 11/25/2009 with the retracement being the return of this movement. It is also worth noting that when a currency pair moves through any of these support levels, these levels usually become new points of resistance, which can, in turn be used as reference points for stop/limit orders. the basis for Elliott Wave theory used in trading financial markets. 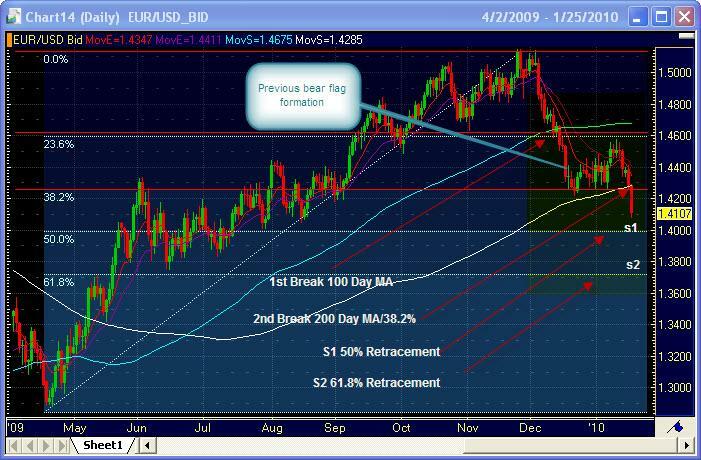 high of the trend using the Fibonacci retracement tool.